Home Forex Forex Brokers Is the end nearing for FOREX MMCIS? Is the end nearing for FOREX MMCIS? 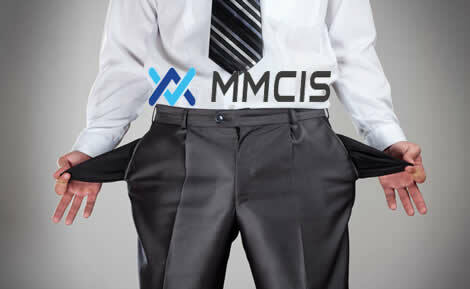 Despite hopes for the contrary and the efforts taken by the company through extra-ordinary measures that included a cancellation of all pending withdrawals and the imposition of a monthly limit on all new withdrawal requests, popular Russian based FX broker FOREX MMCIS recently was now forced to admit that it has no money left to be able to accommodate withdrawals and trading, while it also says that it has no means of returning funds to its clients. The paralysis of the broker was like a disaster waiting to happen since a few days ago it came under fire from clients and associates for banking problems, while the Maltese Financial Services Authority issued a warning against it. As previously reported on binaryoptionswire.com, FOREX MMCIS announced a series of measures in order to deal with the situation but, alas, to the despair of many, and mainly its trapped clients, it appears that they were to no avail. Most of the firm’s clients are from Russia and the Ukraine and the failure of the anti-crisis measures has forced the company’s CEO Roman Kamysa to admit the bitter truth, i.e. that the broker does not have enough funds to sustain trading operations and to complete requests for withdrawals. However, the company claims that its partners as well as payment systems, which blocked client funds or prevented the broker’s access to it, are the real culprits for the severe money deficiencies faced by FOREX MMCIS. In order to substantiated this claim, the company ’s CEO has already threatened to disclose details about MMCIS’s partnerships, including the revelation of exactly how much money each of the partners has gained through the broker. According to some sources such a disclosure might occur next week. The really bad news for all the clients whose funds have been trapped in their accounts with the particular broker is that the CEO confessed bluntly that “all of our money has been exhausted to fight the crisis”. As a result, the whole withdrawal requesting procedure including the verification required, has been completely blocked and none is able to do anything about this.